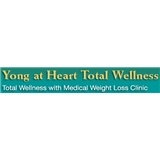 Yong at Heart Total Wellness (Encino) - Book Appointment Online! Yong at Heart Total Wellness is a unique family practice and medical weight loss center. We provide warm, friendly, encouraging, and expert healthcare for children and adults who want to improve their lifestyles and to reduce weight. The Yong at Heart family of healthcare professionals will work with you to reach your goals for happier, healthier living.